A largely unknown work from 1962, Diurnes is a box decorated with color lithographs by Picasso containing 30 original photograms made by a then-young unknown photographer, André Villers, under Picasso’s instigation to “play with” some paper cutouts he had done for his grandchildren shortly after Matisse’s death, in 1954. One thousand boxes were produced by Berggruen in Paris in 1962, with lithographs of the photograms, along with an 18-page poetic script by Jacques Prévert. Each image is precisely numbered and titled in its own paper folder. On top of the 30 images is a separately bound, beautifully printed, 18-page poetic, script-like text written by one of Picasso’s closest friends, the French poet, film writer (Les Enfants du Paradis his signal achievement), prolific song writer, and collage artist Jacques Prévert. The text presents readers with a set of characters and dialogues relating to the images. Dr. Diane Chalmers Johnson, Professor of Modern Art History at the College of Charleston, is the guest curator for this exhibition. Introduced to the art of Picasso in a senior seminar with Instructor Rosalind Krauss at Harvard University in 1964-65 (BA 1965), she received her PhD from the University of Kansas in 1970, and began her teaching career at the College of Charleston that fall. Johnson published American Symbolist Art: Nineteenth-Century “Poets in Paint” in 2004. 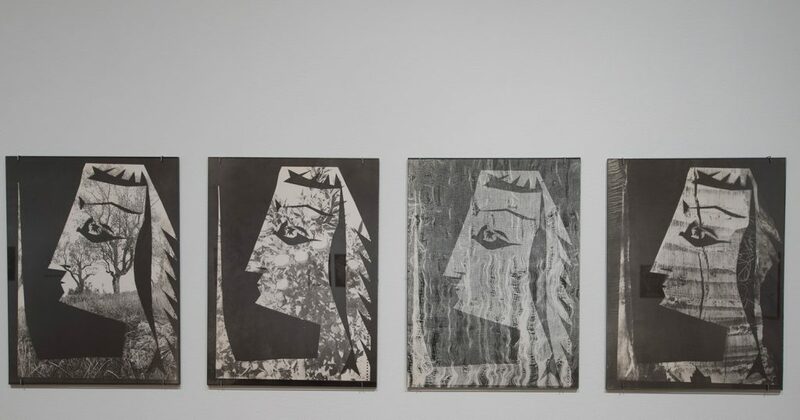 In 2005, having seen several unusual “Picasso photo-collages” hanging in the small Musee de Photographie in the southern French town of Mougins (the final home of Picasso and Jacqueline), Johnson began a search for more of these “strange works,” finding some discussion of the photograms in Anne Baldasarri’s landmark publication of Picasso and photography. Special thanks to our media partners Garden & Gun and Charleston Magazine.